Eye-opener: St Eugene’s College, Burpengary, students William Keys, Lachlan Poetschka, Alisyn Henderson and Year 12 co-ordinator Tim Campbell at the sleepout. FORTY Catholic schools across Queensland decided to “sleep rough” this winter for the fourth St Vincent de Paul Schools Sleepout. Schools from Hervey Bay through to Ipswich, and further up north to Cairns, organised a Sleepout. The sleepout gives students a chance to embrace solidarity for homeless and houseless Australians by sleeping one night in the cold. St Vincent de Paul also organised speakers to give the latest research and statistics into homelessness in Australia at each school. 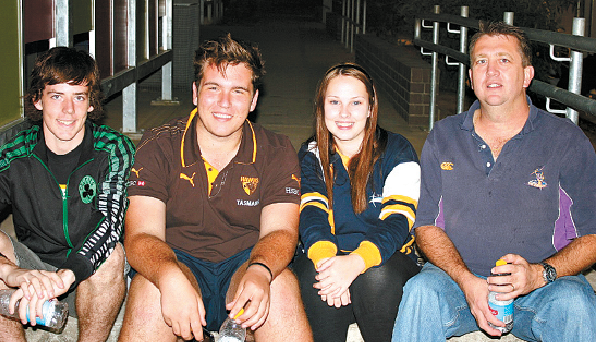 Chisolm College, Cornubia student leadership organised their first sleepout, raising close to $1000. It was a “big eye-opener” for many of the 40 students who attended. Chisolm College Year 10 student Anthony Howell had always felt compassion towards the homeless. He said the sleepout gave him a stronger desire to volunteer in homelessness related services. “I have always thought strongly for homeless people, as there have been multiple cases where I have encountered a homeless person and donated my money to them,” he said. “Doing this, for me, is extremely emotional, because no person should have to live off others spare change. “If anything, my feelings about this topic has just been made stronger and I wish to do as much as I can within our community to help these people. “I would absolutely love to do one of those large projects where there are a team of people and they all work together (with builders) to build a house and donate it to the homeless.”. Ninety boys from Marist College, Ashgrove, got involved in their school’s Sleepout this year, and raised more than $2000. Sixty-seven students from St Eugene’s College, Burpengary, raised more than $2300. This was the biggest year for the youth homelessness awareness and advocacy program, according to state youth manager Cassandra Bull. “We are really delighted with the participation from schools right across the state,” Miss Bull said. All money raised by participating schools goes towards other homeless services run by St Vincent de Paul.